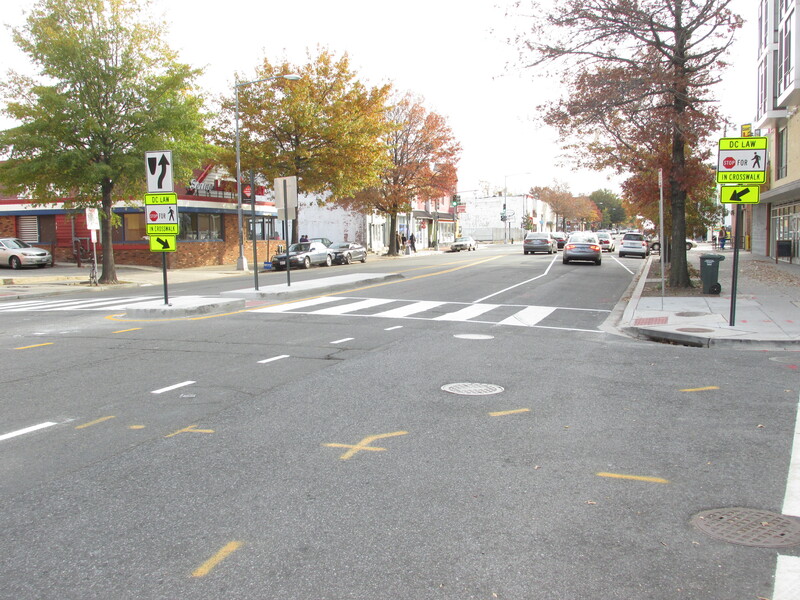 Lane Markings Added to New Crosswalk Median at Georgia and Newton | Park View, D.C. I heard from several residents after the new crosswalk median was installed at Georgia Avenue and Newton Street at the end of October. The chief concern was that the median encroached into the southbound traffic lanes causing a lane shift that was difficult to see. 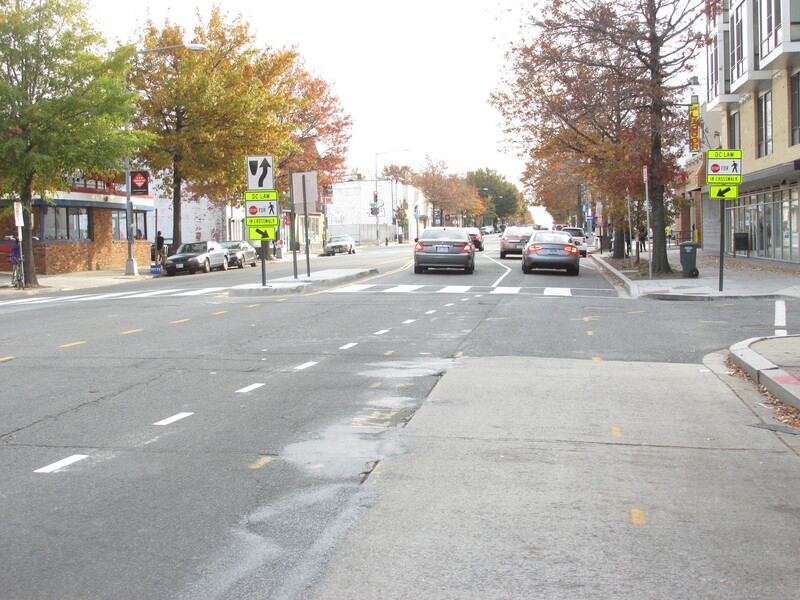 I brought this to DDOT’s attention, and while I don’t know if this was already planned or in response to my advocacy, a crew came out on Friday, November 7th, to paint new lane markings alerting drivers to the new traffic pattern. You can see the new markings below. This entry was posted on November 11, 2014 at 8:01 am and is filed under Streets and Trees, traffic. You can subscribe via RSS 2.0 feed to this post's comments. They still need some bigger markings on that very random curb thing in the middle of the street. If (when) a car drives into that, it’s going to do some serious damage. The giant yellow cross walk sign and the white sign above it that includes a depiction of the median and the lane shift aren’t enough to get your attention?